DVPR recently spent an afternoon with YouTube superstar Blacksmith Alec Steele at his Norwich forge, filming and looking at lighting techniques and production kit for his forthcoming move to a new studio location. 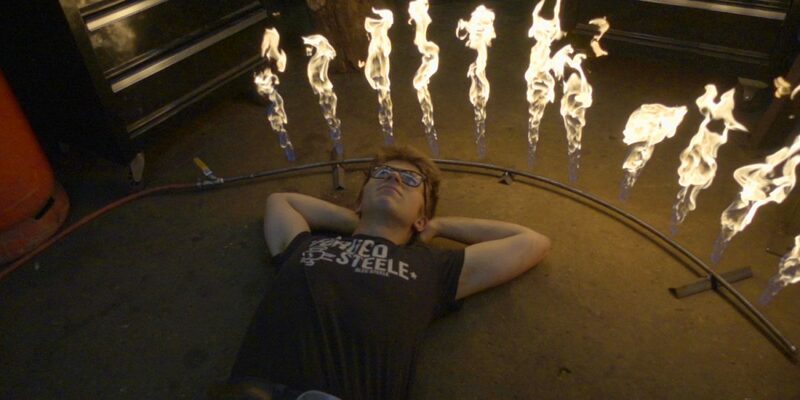 Alec Steele is a highly successful YouTuber with over 300,000 subscribers to his blacksmith YouTube channel. DVPR’s camera operator talked at length with Alec about studio lighting setup and some of the latest kit to add motion into Alec’s future video productions and also discussed the high frame rate material that makes Alec’s vlogging style so fascinating. The team then set about filming the latest installment in a series of YouTube videos about Alec’s first sword build, testing how the sword handles some high velocity fruit! We hope some of the tips and techniques our lighting camera operator discussed will be put to good use in future Alec Steele films!